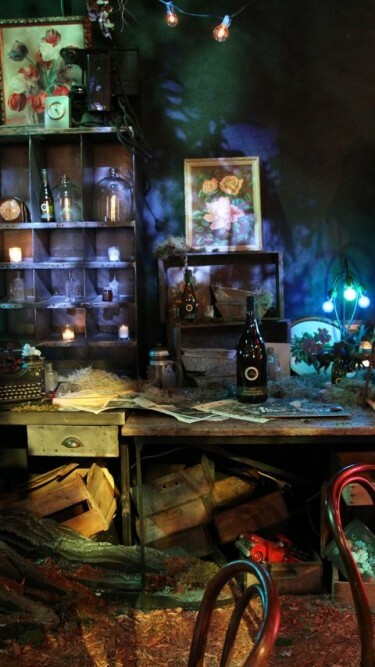 On April 5th, 2012, Kim Crawford Wines transported unassuming party goers into a custom, enchanted setting for UNDONE. Attendees were delivered only a vague invitation to an ‘Extraordinary Photography Experience with Miles Aldridge.’ Upon arrival, the full experience was revealed, instead of simply viewing photographs and sipping wine, guests were immersed into an extremely elaborate set and were witness and some were asked to participate in a live photo shoot for Kim Crawford’s upcoming ad campaign with fashion photographer, Miles Aldridge. For this campaign, Kim Crawford teamed up with interactive set designer, Adam Aleksander. 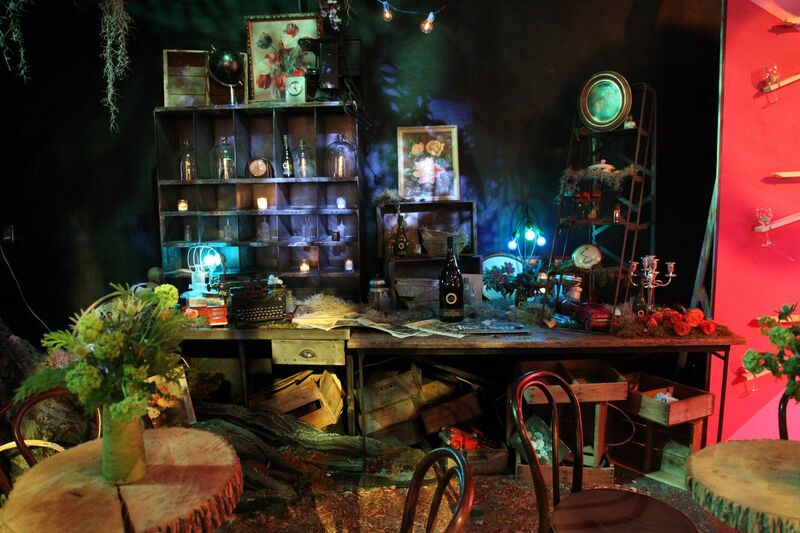 Aleksander created the immersive set with various scenes and costumed characters. The many scenes (or rooms) included: The Pink Room, which featured a mural and a custom Rube Goldberg machine, which poured a glass of wine for one lucky guest. The Green Room, which was an enchanted forest scene filled with Spanish moss and wood nymphs. The White Room, with white-on-white elegance and a madam of the night, leading her costumed unexacting male courtesans to provide hospitality. And finally, The Gold Room was the nightlife equivalent of King Midas’s palace complete with gold patent-leather furniture, glitter archways, and gold and crystal chandeliers. Attendees were plucked or charmed from the crowd and asked to participate in the different environments. Models were given a role and were fully adorned with a wardrobe, hair and make-up to accent the scenes and to interact with the crowd. The immersive set, costume design and photo shoot created an event that was truly outlandish, extravagant and undoubtedly fabulous.